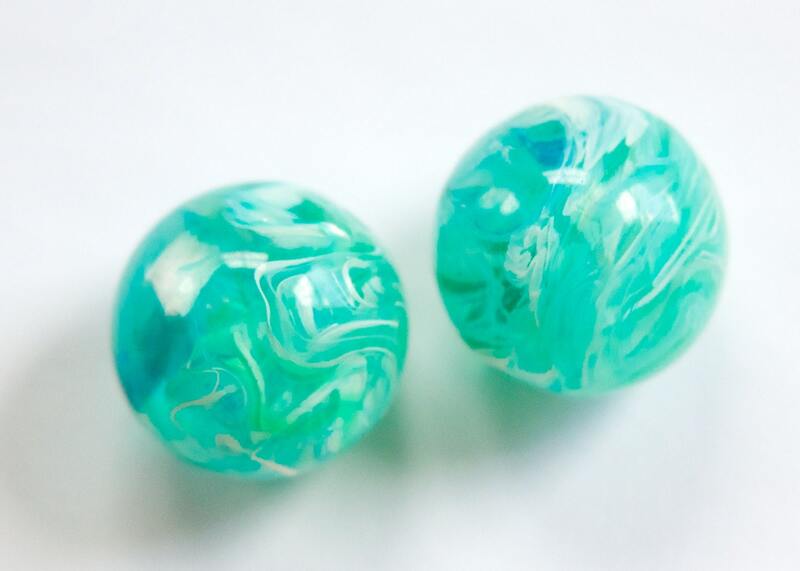 Characteristics: These are a clear bead with blue, green and white randomly swirled throughout. Color: Blue, Green, White and Clear. 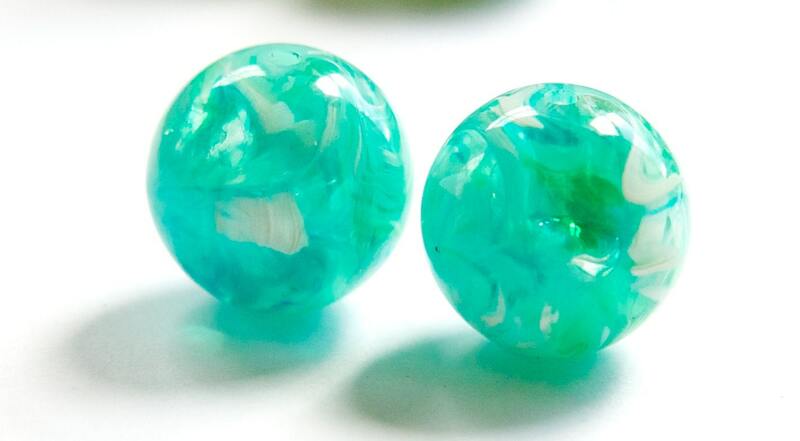 Additional Information: No two beads are alike. Excellent as always! Super quick shipping and unbeatable customer service from this fine Etsy seller! Thanks again! Fabulous beads with excellent customer service! Loved all my items from yummy treasures! exactly what i wanted - really beautiful quality for great prices and fast shipping! Sweet big beads. Nice and light, but colorful and fun.